In today fast life, we all travel a lot and in fast travel we carry our luggage as well. 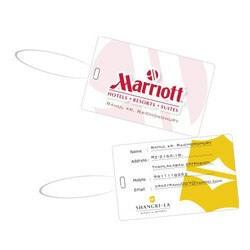 To identify our luggage, we have come out with customized luggage Tags. 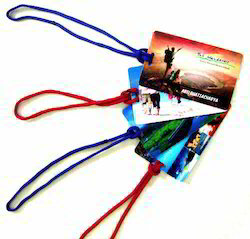 These tags are made of superior quality PVC material. The perfect accessory for any of our briefcases or luggage. Full grain medium brown leather will be a perfect matched to your luggage. Clear view ID window under the flap to hold your business or personal card. Adjustable leather belt attachment with solid brass buckle.